Whenever you install new applications on your system, you have to be sure that they will not bring any harm. According to our research, TVStreamSurfer is a type of application that you would better be off without. This adware program looks like it can provide you with a useful function, but in reality, it exposes you to potentially harmful content that could inadvertently redirect you to dangerous websites. On top of that, this application might have entered your system without you even realizing it, so it would be in your best interest to remove TVStreamSurfer from your browser immediately. At first sight, you may not notice anything wrong with this application. TVStreamSurfer functions as a Google Chrome browser extension, and it does not work on other browsers. As you can tell from its name, the extension is supposedly there to help you stream TV shows and the like in your browser. However, there are particular aspects of this extension that you may find annoying. For instance, during our tests, we have found that the application has browser hijacker qualities. 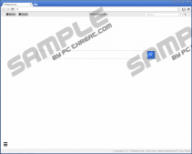 It can change your default search engine and hijack new tab and the main page. Naturally, that is not something you would expect from a reliable browser extension. The point is that TVStreamSurfer can be easily downloaded from several places. It is not like the extension is hidden somewhere. You can access the official website via tvstreamsurfer.com, and the extension is also available at the Chrome Web Store. That is one of the main reasons why we cannot indicate adware programs and similar extensions as malicious computer infections. They DO NOT infect your system surreptitiously. Users install such applications themselves, even though most of the time they are not exactly sure what they are doing. When we open the Chrome Web Store page for this extension, we can see that there is a little bit over a fifteen hundred users who have installed the application, but there is no review, and the extension has a low rating of one star. Normally, if an application is reliable and useful, it garners good reviews, and it does not seem like users are too enthusiastic about TVStreamSurfer. What’s more, we also believe that this application could enter your computer bundled with the additional software. That is not something unheard of. Adware applications and freeware programs often employ this method to travel around. Is there a way to avoid getting swarmed by unwanted applications? Of course, all you have to do is steer clear of third-party websites that distribute freeware. When you download programs from such sites, you have to keep in mind that you usually download a third-party installer that carries several programs within. If you are attentive during the installation process, you may be able to deselect some of the applications you do not need. Unfortunately, practice shows that users quite often just breeze through the setup without even bothering to give it a closer look. Luckily, it is not that hard to get rid of this application. All you have to do is remove TVStreamSurfer from the list of Chrome Extensions, and that should be it. However, let us not forget that there might be more unwanted programs on-board. If you do not know how to differentiate between a reliable program and a potential computer security threat, be sure to scan your computer with the SpyHunter free scanner. You will be able to locate all the unwanted programs immediately. For the most part, freeware applications can be removed via Control Panel. Yet, if you think that it might be too much of a task for you, you can always rely on a licensed antispyware tool that would do the job for you. Finally, do not hesitate to contact us if you have further questions! Quick & tested solution for TVStreamSurfer removal.